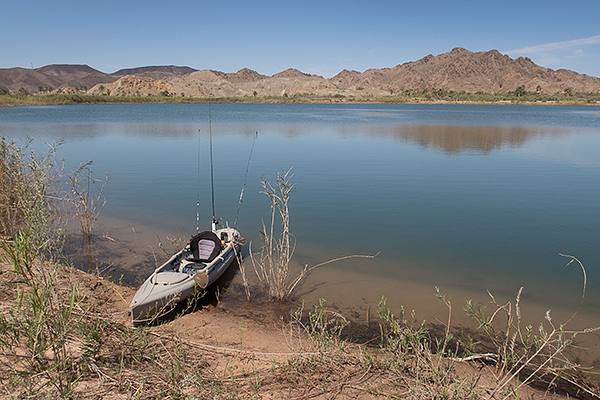 After what seemed to be a very long stretch of cold water, windy weather and poor fishing, things have really turned around here in the desert southwest. The fishing conditions and the fishing itself have been good to very good, just down a notch from the five star fishing we had a few weeks ago, it’s been pretty good for the past month or so. 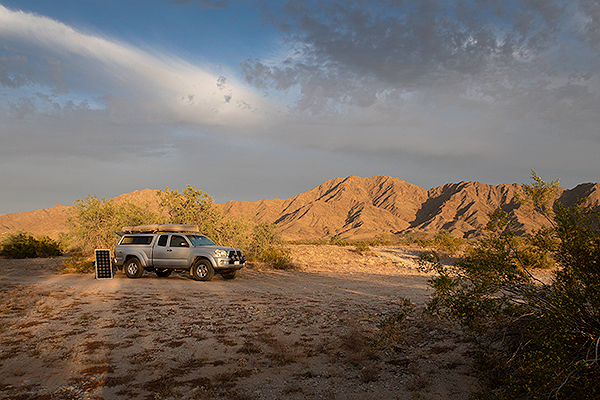 The wind has picked up and put an end to the kayak fishing for a few days, so we have gone out to the desert, away from the water and the mosquitoes, to catch up on the photo and video work. The weather has been very nice, no skeeters, we are getting some work done. The weather has ranged from not a cloud in the sky to completely overcast, but the temperature has remained warm and mostly light winds. The largemouth bass fishing seems to be about “normal”, which for this spot, is usually pretty good. Like most spots, it has good and bad days. 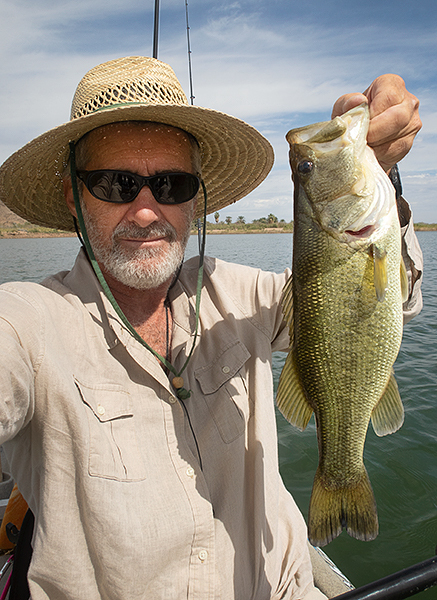 Bass fishing is pretty basic; all you need to do is drop a lure in front of a hungry fish. It was usually mostly calm wind in the morning with the wind picking up in the early afternoon. At that time, it starts to get pretty hot. After eight hours in the kayak, this is usually about the time we call it a day. Unless the fishing is really good, then we fish till we drop. We’ve been fishing mostly with plastic grubs and worms. Smoke with black flecks 4″ grubs are working the best with a small black plastic worm coming in a distant second. I haven’t been able to match the huge bass that I caught a few weeks ago, but have still managed to get a few really nice fish. Caught some fish, lost a few more, but there was a lot of kayak fishing action. I even caught a couple big crappie and lost what was probably a big catfish that swam me off in the riverside reeds. 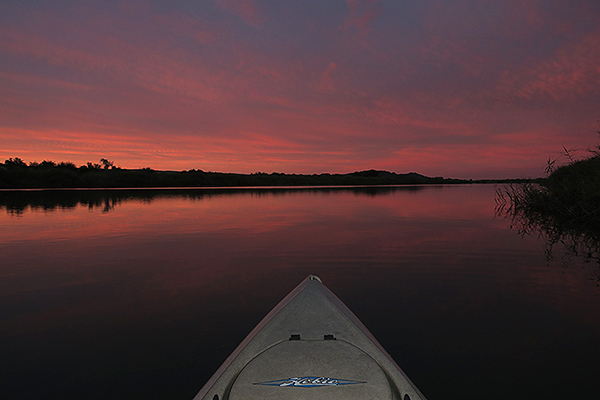 The fishing is good and will probably get better, so check back soon because we always have more kayak fishing stuff.